NEIGHBORHOOD CHOICE: THE BAD NEWS BEARS . . . coming 8/25! You voted and we listened! This year’s Neighborhood Choice is the 1976 comedy classic, starring Walter Matthau as Morris Buttermaker–a down-on-his-luck ex-minor-league ball player roped into coaching possibly the worst little league team of all time–and Tatum O’Neal as his unlikely protege Amanda Whurlizer. THE BAD NEWS BEARS is Presented by Sunny’s Bar and Home/Made, who will be on hand selling their delicious focaccia and bruschetta, and as always Steve’s Key Lime will stay open late to bring you their tarts and swingles. See you at the pier! Red Hook Choice: YOUNG FRANKENSTEIN . . . coming 8/28! UPDATE: The weather is looking pretty unstable thanks to Hurricane Isaac, so check back here tomorrow for the official rain call, which we’ll make by 6 P.M. The bad thing about getting rained out is that we don’t get to watch a blissful sunset on the pier or curl our toes in the grass. The good news is we get to watch the movie at Bait & Tackle–where there’s beer!! Gather round children, and shed a tear with me for what will be the final screening in this summer’s series of movies on the pier. It has been a blast, Red Hook, in no small part thanks to our fabulous neighbors, some beautiful weather, extraordinary food, and not least of all the best sponsors an upstart local film series could ask for! 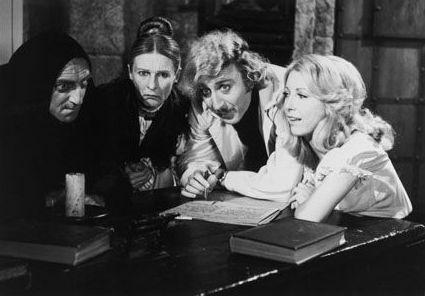 This summer we’re closing festivities with a true classic from one of comedy’s greats: Mel Brooks’ YOUNG FRANKENSTEIN, our neighborhood choice for Summer 2012. Gene Wilder, Cloris Leachman, Terry Garr, Peter Boyle, Marty Feldman, and some chick named Abby Normal put on the ritz just for you. Super Duper! Red Hook Choice is brought to us by Find Home Furnishings and of course each and every one of you who voted at this year’s fundraiser. Snacks by Home/Made and Steve’s Authentic Key Lime Pies and a classic Popeye cartoon courtesy of Sunny’s Bar. Dinner this evening is courtesy of Brooklyn Ice House, who will be serving pulled pork sandwiches, hot dogs, and mac cheese for your gustatory delight! The show begins circa 8:30 PM. UPDATE: The BLADE show will go on regardless of weather. If it’s too wet at the pier, we will show the movie at the Red Hook Bait and Tackle. We will make a rain call by 6 p.m. Watch this space for the decision. 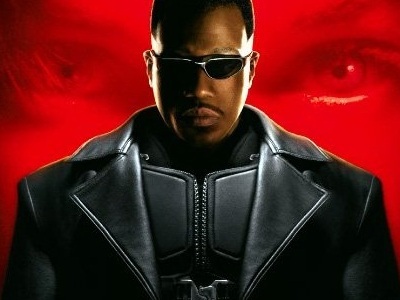 Wesley Snipes, Kris Kristofferson, and Stephen Dorff battle it out against a smokin techno soundtrack for the future of the human race in the 90s cult-classic vampire flick, BLADE. Forget everything you learned about vampires in Twilight–not to mention that whole Lilith thing on True Blood. This is one serious blood god we’re up against and the Daywalker is our only hope. Check out the trailer here. As always, the show starts at 8:30 p.m. But come early for dinner from MILE END DELI and THE O’CONNELL ORGANIZATION. They are serving cured and smoked beef brisket on housebaked rye with mustard. It’s just $8. Plus, we have popcorn from Home/Made (1$) and tarts from Steve’s Authentic Key Lime Pies ($3). And don’t miss the pre-show entertainment of an old Popeye cartoon brought to us by Sunny’s Bar.